With news that Alexander Povetkin had failed a drug test ahead of his May 21 challenge of WBC heavyweight champion Deontay Wilder, boxing fans, and fans of the heavyweight division specifically, were dealt a major disappointment. 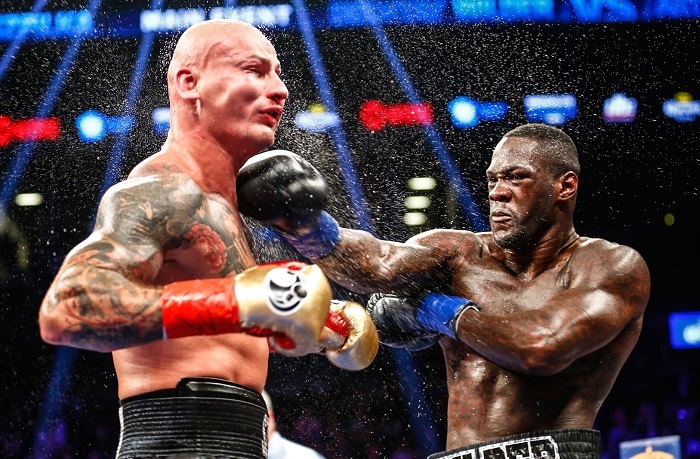 Wilder vs Povetkin promised to be a most intriguing match-up, arguably the biggest challenge of Wilder’s career to date, and also an historic event as it would have marked the first time that an American heavyweight champion would defend his title on Russian soil. Alas, Povetkin tested positive for meldonium and now the match is in limbo. Some say it is only postponed, but at this point it is difficult to see how it could be rescheduled for anytime soon. Chris Connor: Deontay, On May 21st at the Ice Palace in Moscow, Russia, you will be defending the WBC heavyweight championship against Alexander Povetkin after many people said you were never going to do so. How excited are you about proving the critics wrong and successfully defending your title on enemy soil. 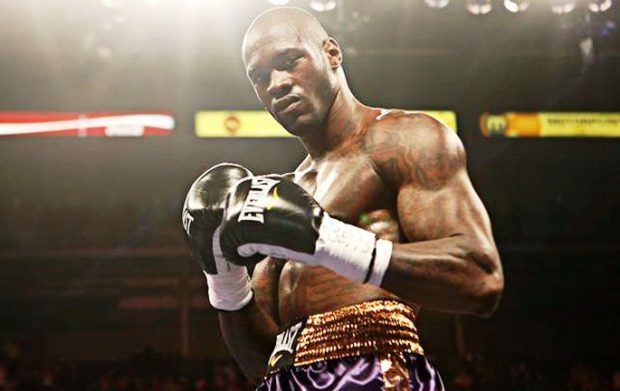 Deontay Wilder: I’m super excited for this fight and I cannot wait. It’s been a long time coming for my first title defense overseas and to make history is very exciting. I made history when I defended my title to mark the first time ever for Alabama to host a world heavyweight boxing title defense. It seems that with every fight I am making history and I will be the first American champion in history to go to Russia and defend his heavyweight title there. I said when I became WBC Heavyweight Champion of the world, I was going to travel all over the globe to defend my title. So many guys don’t want to go to their opponents country but I am doing that. I can’t worry about the judges, being treated badly, or what else they will try to throw at me. This fight is going to help define my legacy. 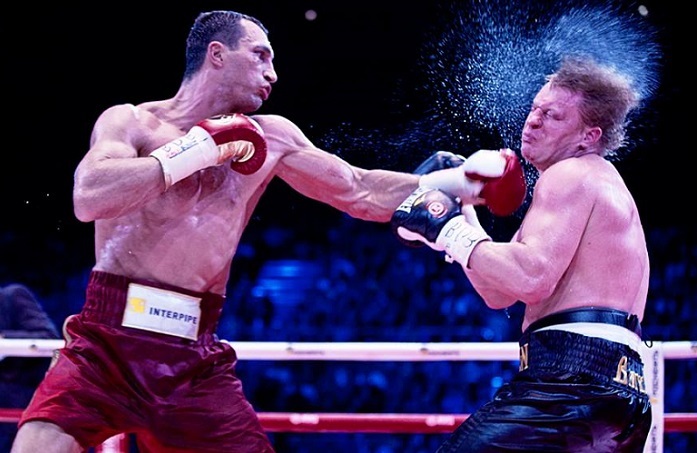 Povetkin is perhaps the the most technically sound fighter that you’ve ever faced, an Olympic gold medalist, former WBA champion who has lost only to Wladimir Klitschko. He is good enough that if you make a mistake he can capitalize on it. How do you prepare for an opponent who is good enough and technical enough to catch you if you make just one slip up? It’s the heavyweight division where anybody can capitalize on your mistakes and end the fight right away. But just because somebody can capitalize on your mistakes, doesn’t mean they are going to be able to capitalize on my mistakes. I don’t think he can, because this is not the Olympics where you have bigger gloves and headgear. This is professional boxing where all it takes is one shot to end your night and you know I have the power to end fights. All I need is one punch to knock him out because not only am I bigger, faster and stronger but I am more mobile as well. I have advantages with my arm reach and my height and I am confident that this fight is going to be a lot like the Stiverne fight. They have similar styles except that Povetkin does not move his head and in the heavyweight division if you don’t move your head, goodnight. 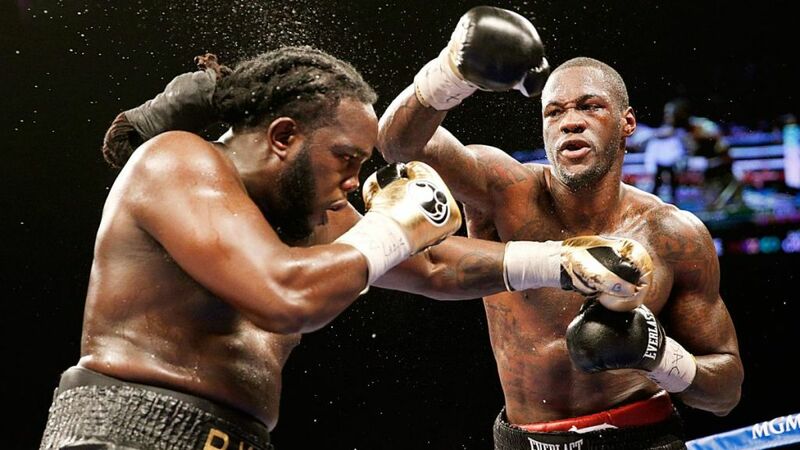 In the Stiverne fight, many people saw that as your best ever performance and that, unlike the Johann Duhaupas and Eric Molina fights, you were boxing more than going for the knockout. 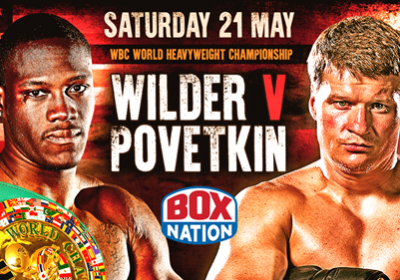 Against Povetskin, should we expect to see you bring more of that same style that you brought against Stiverne? Two of the last guys you faced, Johann Duphaus and Eric Molina, have since defeated opponents who were highly ranked or former champions and scored violent knockouts. How much confidence does it give you that your last two opponents have done better and proved to be tougher than what the media expected? It just shows that most boxing experts don’t know what they’re talking about. Fighters know. Me and my team knew that Molina and Duphaus were going to come hard at me and try to take my title. I don’t listen to critics and I don’t care what they say about me or my opponents. Duphaus was the toughest opponent I have faced to date because he was taking my best shots and kept coming forward. Eric Molina was determined to come into my hometown and take my title and when he went over to Poland to fight Adamek he thanked me for the opportunity. He said that after getting hit by me, he knew Adamek could not hurt him or knock him out. It means a lot to me when these guys can come back and win because it shows how good they are. Your last title defense was against Artur Szpika in which despite defending the title for the first time in Brooklyn in over 65 years, you were facing ten thousand Polish fans who were on their feet for the entire fight, trying to will their guy to the title. How much did that fight prepare you for May 21st, when you head over to enemy territory and defend your title against Povetkin in Moscow, Russia? This is just part of my job and I love it when I go into a packed arena with a crowd full of people who are against me because it keeps me focused. When I defended my title twice in Birmingham, having the entire crowd cheering my name and rooting for me threw me off my game. I felt more pressure with everyone rooting for me. But the greatest feeling in the world is just shutting the other guy’s crowd up and proving that they were wrong and I was right. Szpika had thousands of patriots cheering him on. How much added pressure is there on you when a win will guarantee showdowns with Tyson Fury or Anthony Joshua for millions of dollars. How much pressure have you put on yourself to win this fight convincingly to guarantee you can look forward to even bigger fights? There’s no pressure that can rattle me at this point. This is a mega fight for me and my legacy because I am going over to Russia to defend my title against a very good opponent. Hopefully after I beat him, his fans and the media will give me the respect that I deserve. I got into boxing with the goal of being considered one of the greatest of all time. And there is a reason why, in my opinion, Muhammad Ali is the greatest ever. He was not only successful in the ring, but he also entertained huge crowds, defended his title all over the world, and became a global superstar. Like him, I want to be a superstar and a champion whose legacy is defined by defending the title all over the world against anyone. On May 21st I’ll be the first ever American heavyweight champion to defend his title in Russia successfully. Against a man who many say is your toughest opponent to date, what is the key for victory for you to defend your title and come back home as the champion? Anthony Joshua’s next fight is with Klitschko and he will win by KO! Then he will be in control as to who he fights next. The big money would be Wilder, and that may be the deciding factor. However he could take a winner’s tour and fight maybe three times, and then Mr. Wilder. Why? because it will boost his ring time, expand his skills, and make him the strong favorite to beat Deontay.